Friday Finds is hosted by MizB at You Should Be Reading and you can find it here. MizB does a fantastic job with this meme every week, so do pop over and pay her a visit. 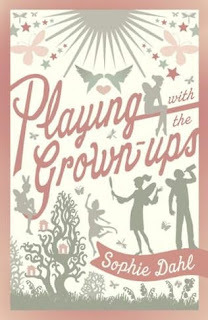 1) Playing with the Grown ups by Sophie Dahl. Now I don't think I would ever have considered reading a book by Sophie Dahl. Whenever I have seen her, I have always assumed her to be more model material than literary. However, her name has popped up a few times recently and this book is getting a lot of recommendations. Here is the description from Amazon. To Kitty, growing up at Hay House, surrounded by bluebell woods and doting relations, is heaven. But for her mother, the restless Marina, a silver-eyed beauty who paints and weeps with alacrity, Hay cannot provide the novelty or excitement she so craves. Swami-ji, Marina's guru, sees her future in New York, and so the family is scooped up and relocated, leaving Kitty exiled in a colourless boarding school. Reprieve comes in the form of the guru's summons to the ashram, but then, just as Kitty is approaching enlightenment, they are off again, leaving everything behind to come back to an England that is fast and unfamiliar. This time no God, man or martini can staunch Marina's hunger for a happiness that proves all too elusive. And Kitty, turning fourteen, must choose: whether to play dangerous games with the grown-ups or to finally put herself first. Witty, lyrical and heartbreaking, Playing with the Grown-ups is a modern coming-of-age story that heralds the arrival of a unique new talent. I found this one over at Book Dilettante's blog , which is a new blog to me. I fell in love with the description of this book and the fact that it is set in Iceland and a translation made it even more appealing. Here is the description from Fantastic Fiction. Freya Morris lives an almost nocturnal existence working in a basement photography studio in Manhattan - when she is summoned back to the formative place of her youth, a remote Icelandic-Canadian village called Gimli, where her ancient grandmother clings to life. Freya is the last in a remarkable family line. Her immigrant grandfather, a famous poet, became the keeper of Iceland's cultural flame: a powerful blend of language, myth, history, and genealogy, all shaped by the challenge of living on a subarctic island covered by vast lava fields and immense glaciers. After a massive volcanic eruption, he and thousands of others had fled Iceland for America and Canada. With her widowed mother, Freya spent her childhood summers in Gimli, visiting her grandmother and aunt Birdie, a brilliant but troubled woman who saw in Freya a kindred spirit. On one visit, a freak accident and its aftermath made Freya's life a confusing blend of secrecy, shame, and exile from her roots. Two decades later, in Gimli to see her grandmother for the last time, Freya picks up the thread of a family secret - one which leads her on a dramatic quest through the past she has nearly forgotten, culminating in Iceland past and present. A beautifully written novel of an immigrant family and a little-known nation's unusual culture, "The Tricking of Freya" is a beguiling debut. I found this over at Meg's blog, Write Meg! I like the feel of this book as it looks closely at the love of learning new things that children feel when they grow up. I loved to learn as a child and I think this will take me back to my childhood. Growing up with six brothers in rural Texas in 1899, 12-year-old Callie realizes that her aversion to needlework and cooking disappoints her mother. Still, she prefers to spend her time exploring the river, observing animals, and keeping notes on what she sees. Callie’s growing interest in nature creates a bond with her previously distant grandfather, an amateur naturalist of some distinction. After they discover an unknown species of vetch, he attempts to have it officially recognized. This process creates a dramatic focus for the novel, though really the main story here is Callie’s gradual self-discovery as revealed in her vivid first-person narrative. By the end, she is equally aware of her growing desire to become a scientist and of societal expectations that make her dream seem nearly impossible. Interwoven with the scientific theme are threads of daily life in a large family—the bonds with siblings, the conversations overheard, the unspoken understandings and misunderstandings—all told with wry humor and a sharp eye for details that bring the characters and the setting to life. 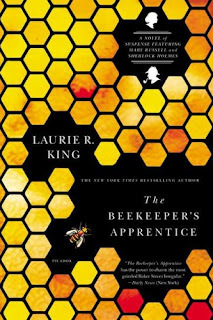 4) The Beekeeper's Apprentice by Laurie R. King. I found this book over at Nymeth's blog 'Things That Mean Alot', where I find so many good books. I loved the fact that this book starts off in the Sussex Downs, which are close to me. I know that this book is the first in a series and one that Eva absolutely loves. If I know that Nymeth and Eva are recommending it, I know it has to be good. Here is the blurb from Amazon. Sherlock Holmes takes on a young, female apprentice in this delightful and well-wrought addition to the master detective's casework. In the early years of WW I, 15-year-old American Mary Russell encounters Holmes, retired in Sussex Downs where Conan Doyle left him raising bees. Mary, an orphan rebelling against her guardian aunt's strictures, impresses the sleuth with her intelligence and acumen. Holmes initiates her into the mysteries of detection, allowing her to participate in a few cases when she comes home from her studies at Oxford. The collaboration is ignited by the kidnapping in Wales of Jessica Simpson, daughter of an American senator. The sleuthing duo find signs of the hand of a master criminal, and after Russell rescues the child, attempts are made on their lives (and on Watson's), with evidence piling up that the master criminal is out to get Holmes and all he holds dear. So there are my wonderful finds this week. Do you think hubby would mind if I bought some new books so soon after Christmas. Hmmm! They all sound good! How fantastic is the cover of The Tricking of Freya?!! 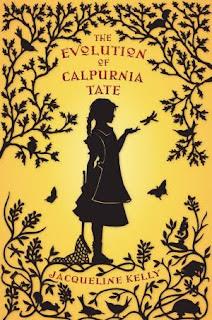 I love the cover of The Evolution of Calpurnia Tate. Some good finds there - I was just looking at Sophie Dahls cookbook in Sainsburys the other day - didn't realise she was novel writing too. Those all look great! I'm anxious to read The Beekeeper's Apprentice since I saw the Sherlock Holmes movie. Now, I don't judge books by their covers, but these look great! I look forward to your reviews, Vivienne. Have a good weekend. These look great. My find is up at The Crowded Leaf. I noticed you're reading The Ice Queen by Alice Hoffman. I read that not too long ago, not my favorite by her but still good. Yikes, I've never even heard of Dahl before, but I am completely in love with the cover of that book! Great finds! I haven't heard of some of these, and others (like The Beekeeper book) were a nice reminder of books I had found and then forgotten about. Vivienne these look so good! You have some wonderful finds here. The Tricking of Freya has a fantastic cover and sounds great! All of these sound great but I'm really curious about The Tricking of Freya. I got to go to Iceland last summer and had a fantastic time. 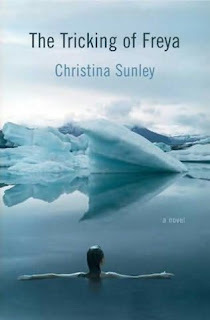 I've read several books set in Iceland, mainly mysteries, but would love to read a more straight fiction book. Mary - it's gorgeous isn't it. Nikola - I need to get my grubby little hands on it first. Carmen - I didn't realise Sophie Dahl wrote cookery books too. Is there no end to her talents? Bermudaonion - I really need to see the Sherlock Holmes film soon. Alayne - Your Friday find didn't come up in my google reader. I have had a clear up and I think I might have knocked you off by mistake. Shall rectify now. Debi - I am not sure if you know, but Sophie Dahl is Roald Dahl granddaughter - I should have added that in my post. Illiana - you got to go to Iceland. I am so envious. I want to go there too. Yay! I so enjoyed The Evolution Of Calpurnia Tate, and I really hope you will, too! Such an enchanting book -- great for kids, teens and adults alike. Hi Vivienne, if you'd like to pop over to Pen And Paper when you have time. I've made special mention of your blog and you have an award. Do, do, do read the Laurie King series! These are some great finds. With the exception of Playing with the Grownups I have heard of them all and need them to hop on over to me apt today! I actually saw Nymeth's post about The Beekeeper's Apprentice and plan on reading this one. Looks good. Thanks for your finds. Sheesh, these all sound good. The Evolution of Calpurnia Tate by Jacqueline Kelly has been on my wishlist for a while. I love the Sophie Dahl cover and I might try her just because she's the granddaughter of Roald Dahl. Great finds! The covers with yellow on them are very eye catching!